Local Los Angeles Electricians | Electric 4 All, Inc.
Electric 4 All Inc. is a comprehensive full service electrical contractor providing residential, commercial and industrial electrical service to Los Angeles and the surrounding areas. Whether you are doing a remodel, an installation or need a repair, call Electric 4 All for all your electrical needs. No job is too big or too small. From the moment our knowledgeable technicians answer the phone, you will experience the level of care Electric 4 all provides. We understand the importance of finishing your job with your results in mind and doing it in a timely manner. Your time is money, and we keep the bottom line in mind, offering some of the most affordable prices in the Los Angeles area. In fact, we are guaranteed to beat any price you may have been quoted. Also high on our priority list is safety and quality. All of our technicians are educated with the highest standard as far as your family’s safety is concerned. You can count on us to make sure your electrical work is up to code. Electric 4 All prides itself on using only the finest quality materials to ensure that we perform the job with attractive and lasting results. 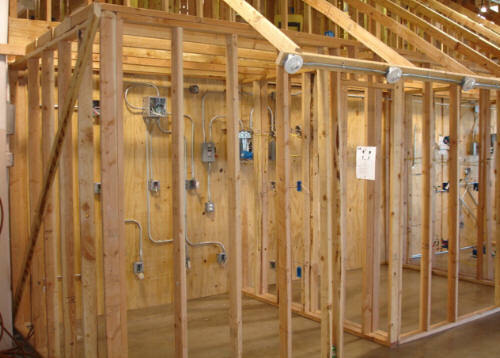 As comprehensive Los Angeles electrical contractors, we offer a vast array of electrical work. The services we offer include indoor and outdoor lighting, electrical panel upgrades, wiring, code corrections, troubleshooting, 24-7 emergency services, and so much more. If there is an electrical service you need, just ask. Our technicians are trained to take on a wide variety of services and each task is performed with top notch results in mind. Electric 4 All is Los Angeles’ finest when it comes to electrical services. All of our work is under warranty to ensure your satisfaction. If you have a house or property in the Los Angeles area that is in need of electrical work, don’t hesitate to call Electric 4 All Inc. for your free estimate.